One could expect this to be little more than a collection of escalating torture scenes. Recent festivals have certainly prepared us for a degree of oneupmanship in the inventive use of household hardware. 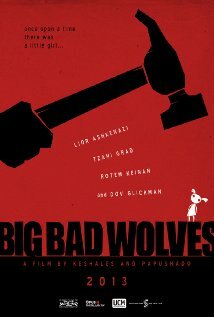 However, reviews suggest we won’t have to scrape far below the blood caked surface of Big bad wolves to find compelling performances and sure-handed filmmaking.